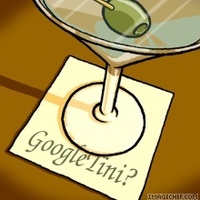 I do not think that Google's acquisition of Postini is a shot across the bow of Microsoft. I think Google goes about its business of delivering on its vision. I think its vision is rather simple really. Google believes that the future belongs to Software as a Service (SaaS). As part of their SaaS strategy, they need to secure their web based apps, as well as offer security as a service. This is not really much different than Microsofts "Live" program, also a Software as a Service play. That is where the competition is. It appears that Alan's really re-stating what I said yesterday regarding SaaS and especially as I highlighted the security aspects thereof, but his statements are strangely contradictory in the scope of this single paragraph. To wit, if Google is indeed focused on SSaaS (Secure Software as a Service) and they're looking to displace at least for certain markets traditional "Office" applications which are Microsoft's cash cow ($12B business?) how is this not a "shot across the bow of Microsoft?" Further, if Microsoft is engaging in SaaS with Live, then it further underscores the direct competitive model that demonstrates that Microsoft (et al.) are firmly in the target hairs.